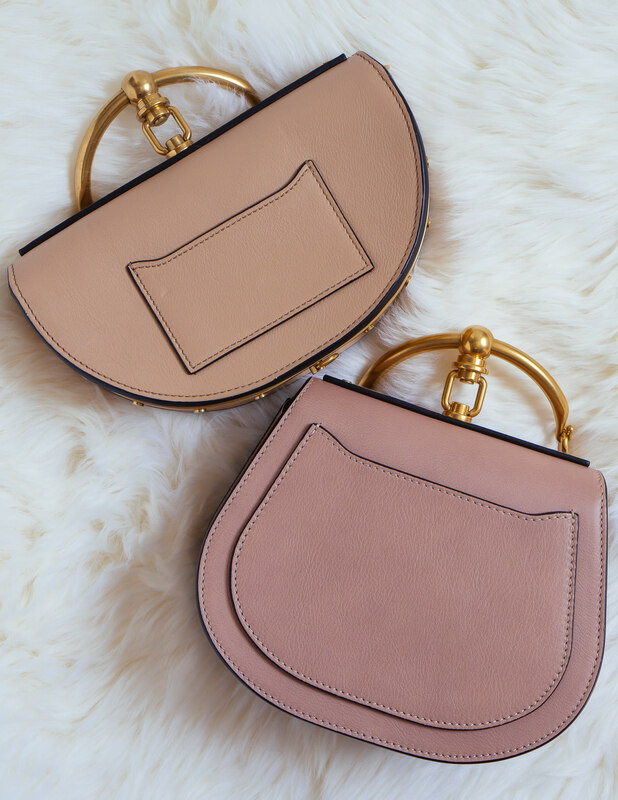 This little bag stole the hearts of bag lovers everywhere, us included! I have a special place in my heart for anything Chloé. As a tween, I had fashion ads plastered to my bedroom walls, and Chloé campaigns were my favorite to tear out of the magazines I begged my mother to purchase for me every time we went to the drugstore. She finally gave me a Vogue subscription for Christmas in 8th grade, and I loved that gift even more than the baby blue Ugg boots I also got that year. Even as a middle schooler with minimal knowledge of who's who in fashion, Chloé always spoke to me because of the beautiful, bohemian, feminine aesthetic. When Chloé debuted the Marcie bag in the late 2000s, I immediately added a mini in red to my wish list. 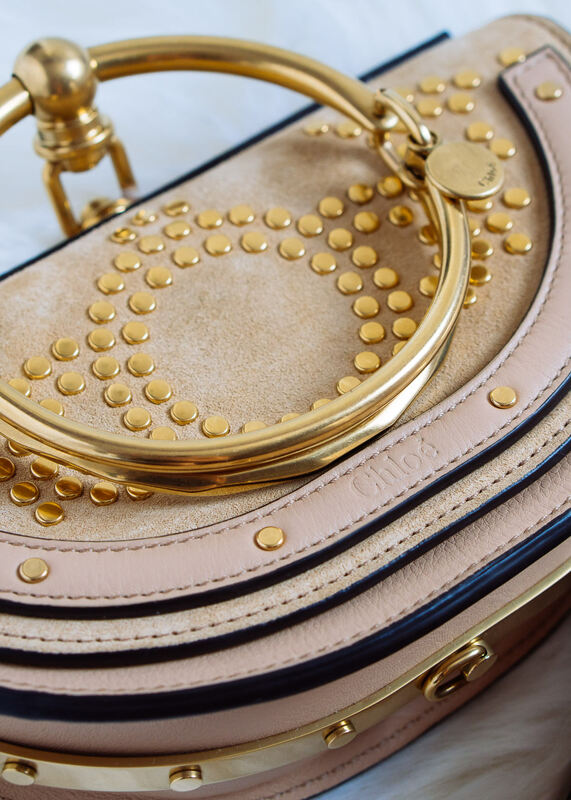 Years later, at the start of my handbag-loving career, I interned at Chloé's NYC office. Long story short: my bag-obsessed brain has nothing but love for the French brand, and I will always be a #ChloéGirl at heart. When you're surrounded by handbags all day long, it takes a lot—and I mean A LOT—to be impressed. 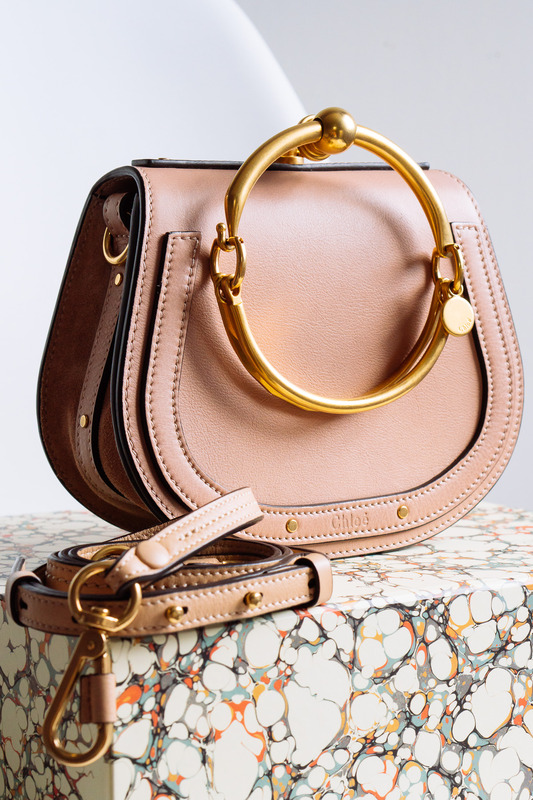 When Clare Waight Kellar debuted the Chloé Nile Bag, it immediately made my heart skip a beat. 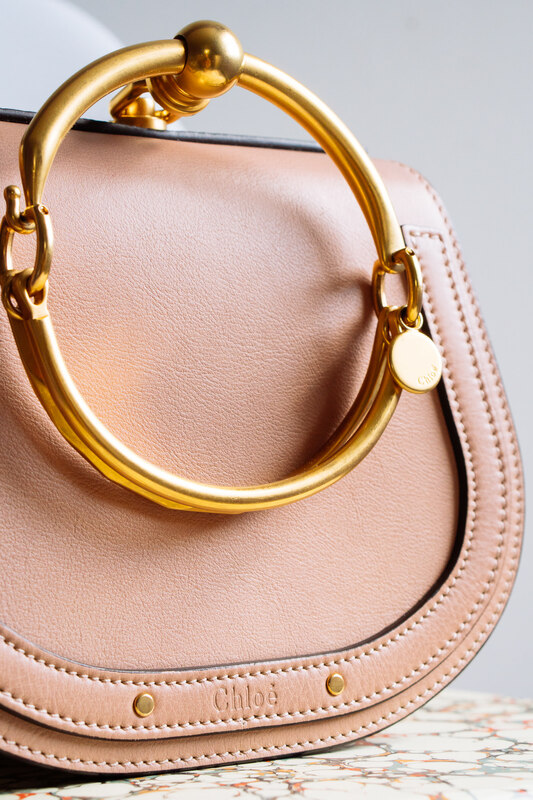 The gold, bracelet-like hardware is unlike anything else on the market. 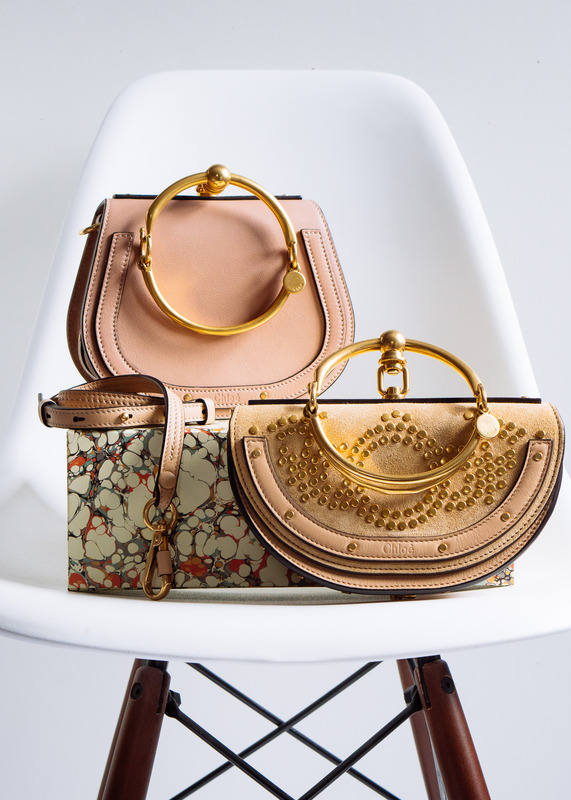 It's not only functional (you can carry the bag with the bracelet as a top handle, sans crossbody strap), but when the bag is being worn crossbody, the hardware lays beautifully against the bag's front flap and acts as an added detail. The Nile is both beautiful and unique—a true showstopper. We've been on top of the popularity of the Nile for a couple of months now, and it seems that this bag has the staying power to be Chloé's new hit of Drew or even Marcie proportions. I jumped at the chance to take the Chloé Nile out for a spin, and surprise, surprise: I was not disappointed. I'm five minutes away from making one of these bags mine (that is if I can get my hands on one)! 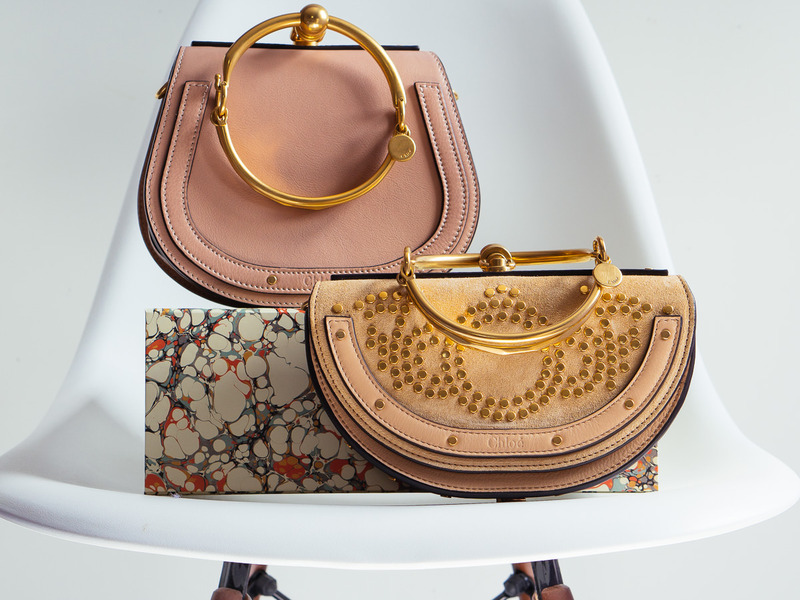 While I loved both of these bags—they are just SO cool and different—the small is definitely at the top of my list. 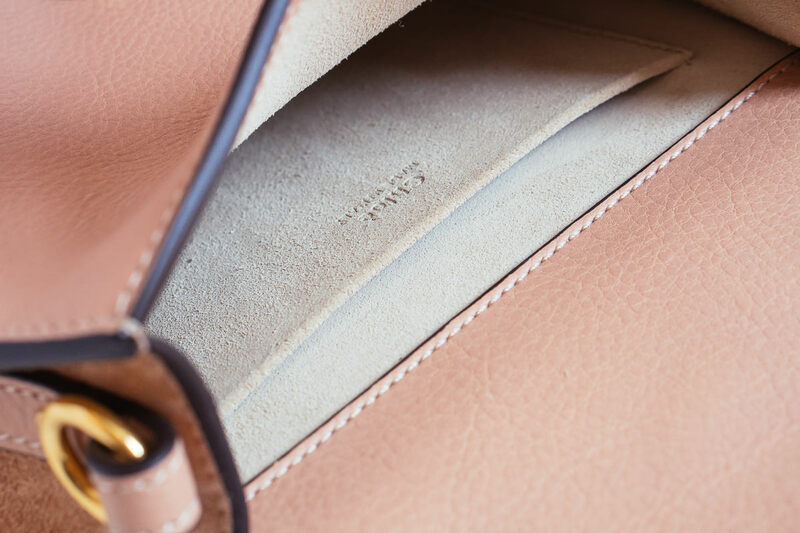 Both the small and the mini versions feature an interior slit pocket, making it easy to store your necessities without tossing in a card case. My ID, Metrocard, debit card and a twenty dollar bill were easily tucked away. I threw in my iPhone next (both sizes fit it comfortably), plus a lipgloss, and headphones for my commute, and I was set! 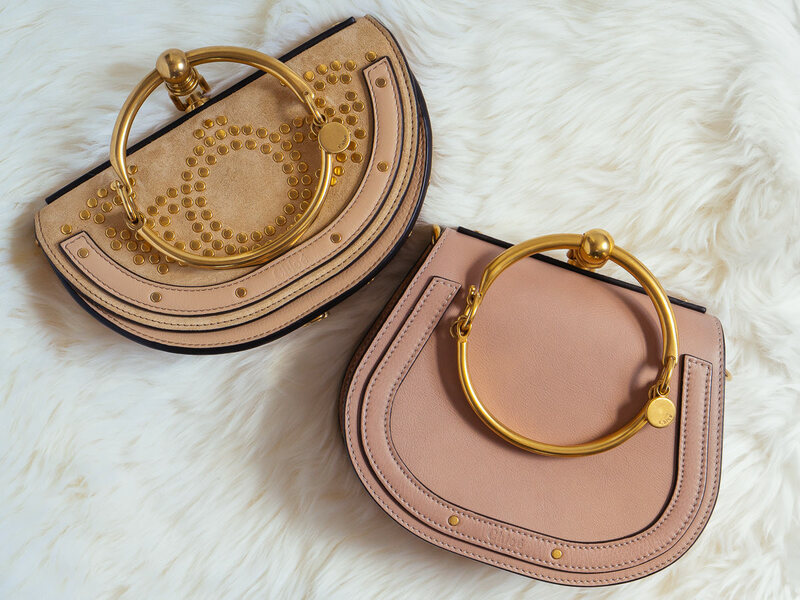 Both sizes of this bag come with a detachable crossbody strap. The Nile Minaudiere Bag retails for $1,450 via Neiman Marcus, while the Small Nile Bag retails for $1,550 via Bergdorf Goodman. The lace-up shoes featured above are See By Chloé available on sale now via Bloomingdales for $183.